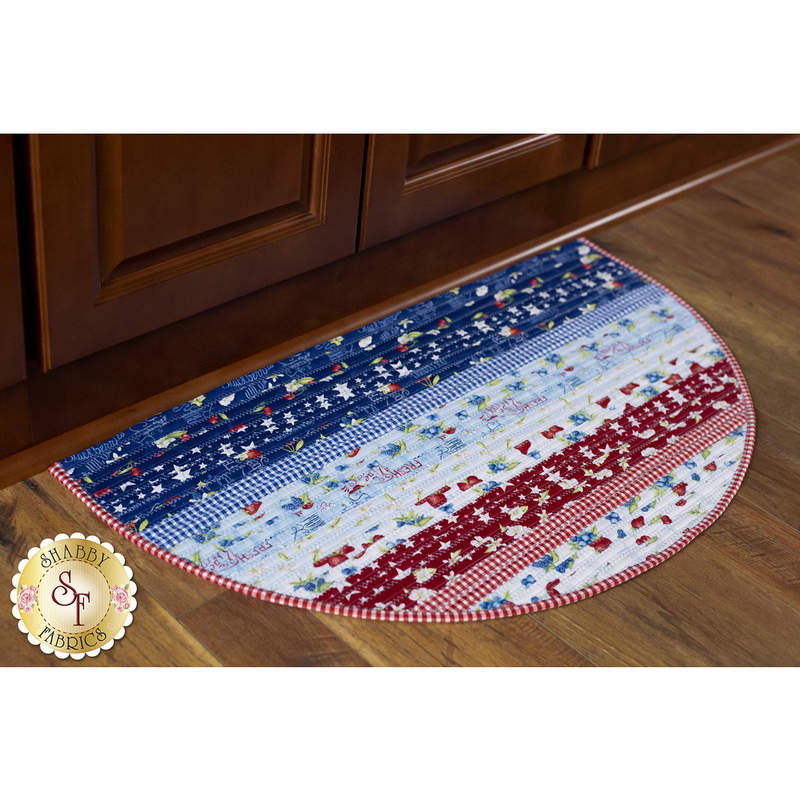 This Slice Rug with its soft red, white and blues from the Berry Sweet collection adds a delightful touch of summer excitement to your home, and fits perfectly in your kitchen, bathroom or entryway. 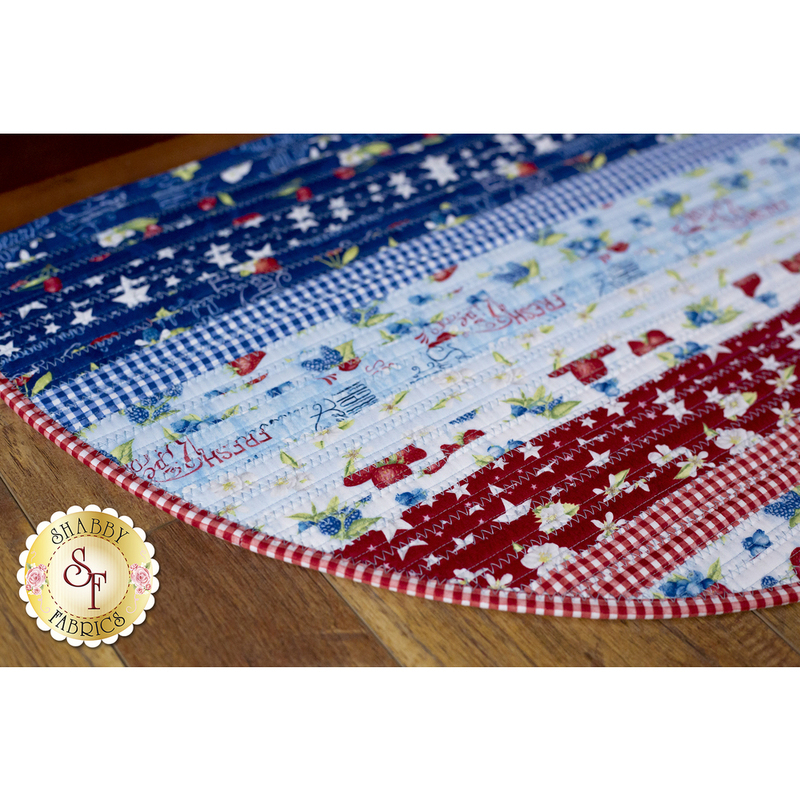 The completed rug is durable, yet soft, and will hold up well in the wash! 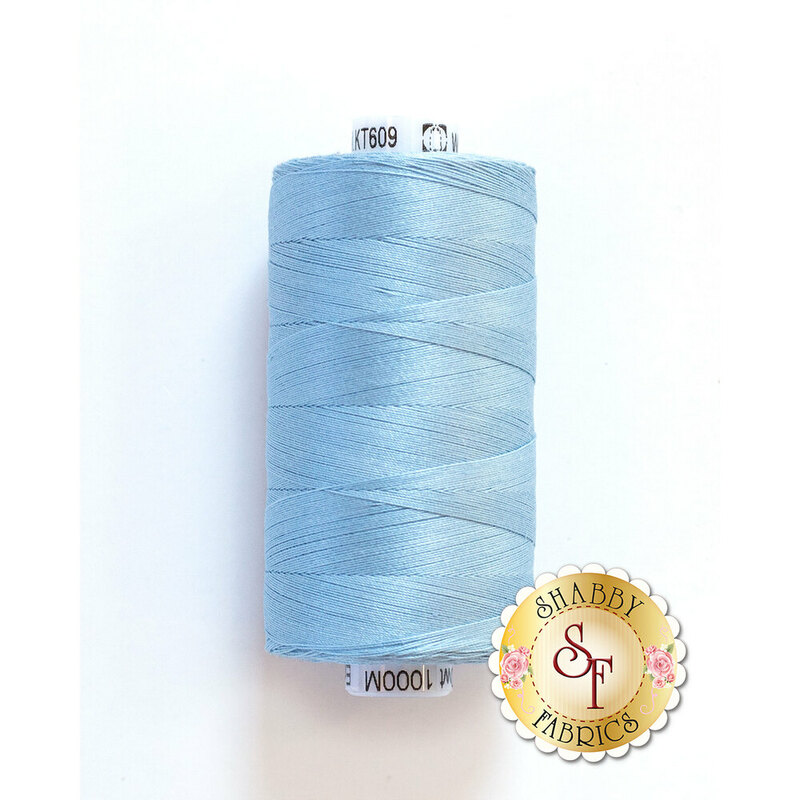 Makes a great housewarming gift too!